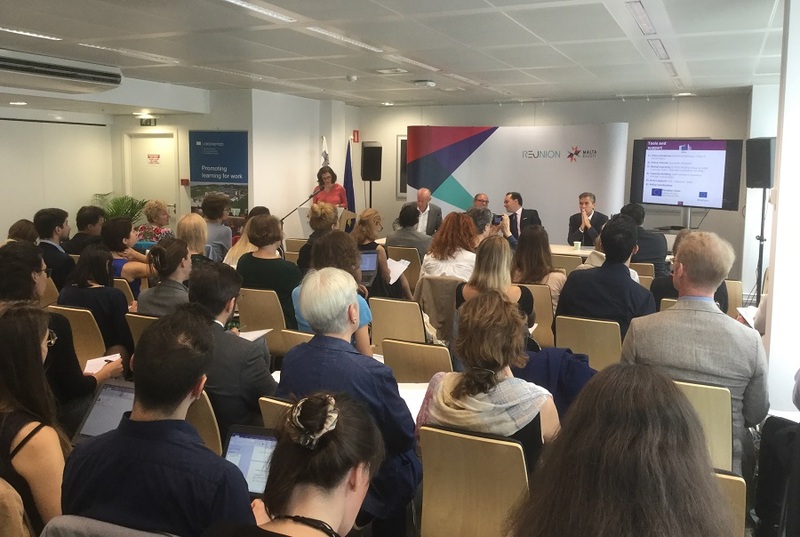 The third of these seminars, on 26 June, was organised together with the Maltese EU Presidency and focused on addressing and preventing low skills. It was attended by more than 50 representatives from the permanent representations to the EU, the European institutions and other organisations based in Brussels. The Chair of Malta’s Education Committee Jean Micallef Grimaud opened the meeting, underlining the political priority given to the issue during the Maltese Presidency. In his welcome, Cedefop Director James Calleja stressed the important role played by the agency in providing research-based evidence supporting policy-makers in addressing the low skills challenge. According to Mr Calleja, research is necessary to increase the visibility of the issue and thereby provoke political change. Cedefop Head of Department for Learning and Employability Antonio Ranieri presented a study on the economic and social costs of low-skilled adults in the EU. He said that low-skilled adults are much more likely to experience unemployment and poor working conditions than any other population group, with the costs this implies for the individuals and for society at large. The recent decrease in the number of the low-skilled is now slowing down, further accentuating the need for policy action. DG Employment Head of Unit Dana Bachman gave an overview of EU initiatives related to the low-skilled, focusing on the follow up to the New skills agenda for Europe, adopted in 2016. Ms Bachman reflected on the need to pursue a multi-track strategy where outreach, guidance and other support activities make it possible for adults to improve their basic skills and/or reach a higher qualification level. Cedefop expert Pedro Moreno de Fonseca outlined how guidance can be tailored to address the needs of low-skilled adults. Building on country examples, he noted the need to intervene at an early stage, to focus on prevention rather than repair and to seek cooperation across sectors and institutions. Cedefop expert Ernesto Villalba explained how validation of non-formal and informal learning can be used to help upskilling and directly support low-skilled adults. In the final panel discussion, DG Employment Director of Skills Policy Detlef Eckert commented on the need to increase visibility of this particular challenge which, in terms of the number of citizens involved, is daunting. According to Mr Eckert, to succeed in this area we need to rethink how we use existing tools and instruments and how we ensure linkages and coordination between different policy areas and sectors. The low skills challenge cannot be reduced to an education and training related issue; commitment from labour market and social policy stakeholders is as important.